Sitka Art Circles are a way to come together in a casual atmosphere and have a bit of artistic fun. Everyone is welcome! Sometimes the hardest part of writing is getting started. In this workshop, we’ll get the pen moving and keep it going. 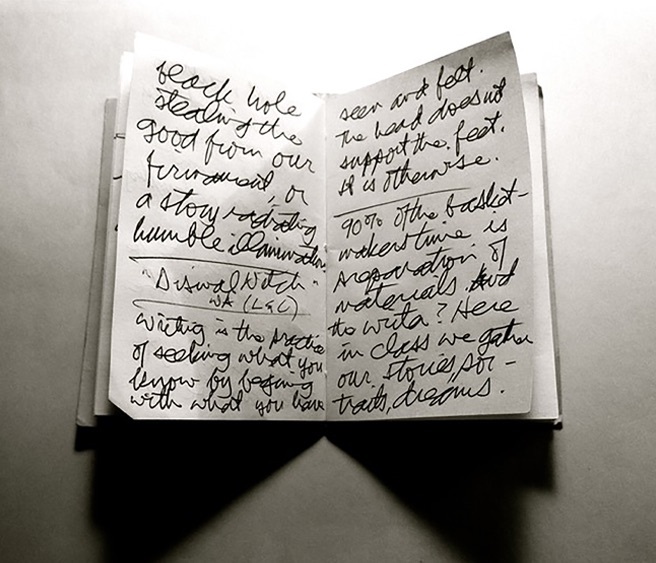 We’ll approach writing as a practice rather than a performance and discover stories we didn't even know we had to tell. Exercises and prompts will stir our memories and imaginations and help us discover the writer within, present in every person. Nancy Linnon has been teaching writing for 25 years. Her work has appeared in literary journals and magazines such as Creative Nonfiction, Los Angeles Review, Mothering, Yoga International and the anthologies What Wildness is This, VoiceCatcher and Rage and Reconciliation. Her passion is exploring ways of accessing the creative self through the powerful act of writing.